It may surprise you to learn that the typewriter has more than a few famous fans. 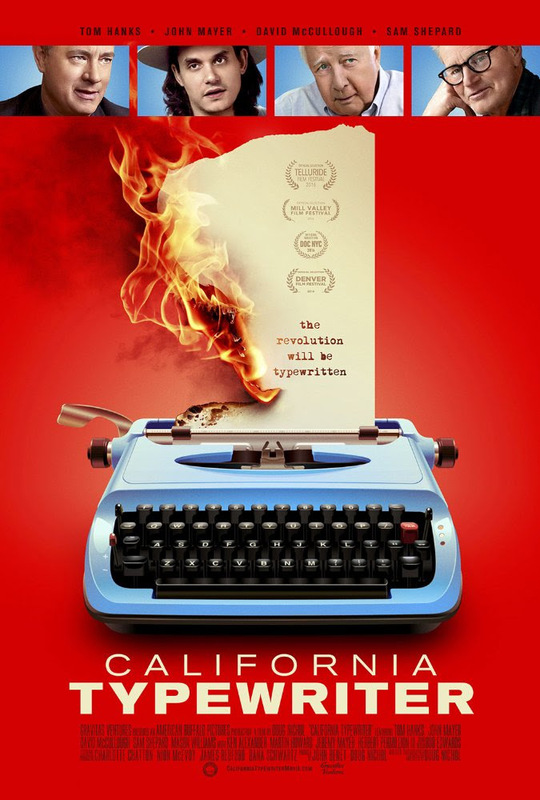 Join Tom Hanks, John Mayer, Sam Shepard, and more in celebrating the unique love of a more tactile approach to writing and creativity in the documentary CALIFORNIA TYPEWRITER. The thought-provoking film depicts the changing dynamic between humans and machines. It encourages us to consider our own relationship with technology, old and new, and presents the question: who’s serving whom, human or machine? Exploring everything from the preservation of the oldest models to breaking the machines apart to create art, the documentary explores the different ways people continue to connect with these beautiful machines as well as our own relationship with technology.